The network is made up of over 60 Miles of Fixed Wireless Links including 24 Radios. Buggy One is able to roam the tundra and maintain a high speed internet connection allowing for uplink of 1080p Live HD Footage for broadcast purposes. Re-Design of the outdoor ptz camera arm. Re-Designing the hydraulic camera arm to hold the new 1080p PTZ camera. Lowering the fuel cell onto the Cape Churchill Tower. Our transportation to and from Cape Churchill! Cape Churchill Tower at Sunset. There are two 1080p Sony PTZ cams installed on the tower. The system is powered by both solar and a methanol fuel cell. Roaming the tundra and waiting for the ice to form. 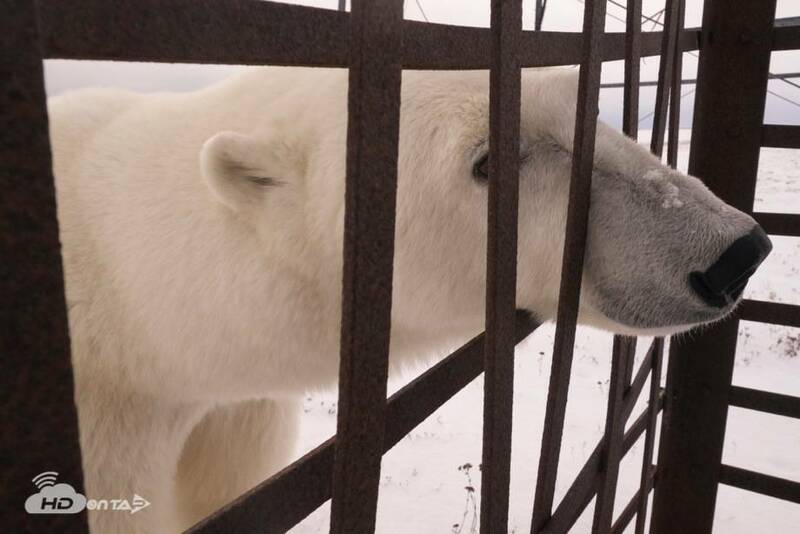 There are two cameras installed on the Tundra Buggy Lodge allowing for camera operators to remotely control the PTZ as they search the tundra for roaming bears. Our X Stream Designs X|Rain Enclosure System with the X|Smart Power Supply. 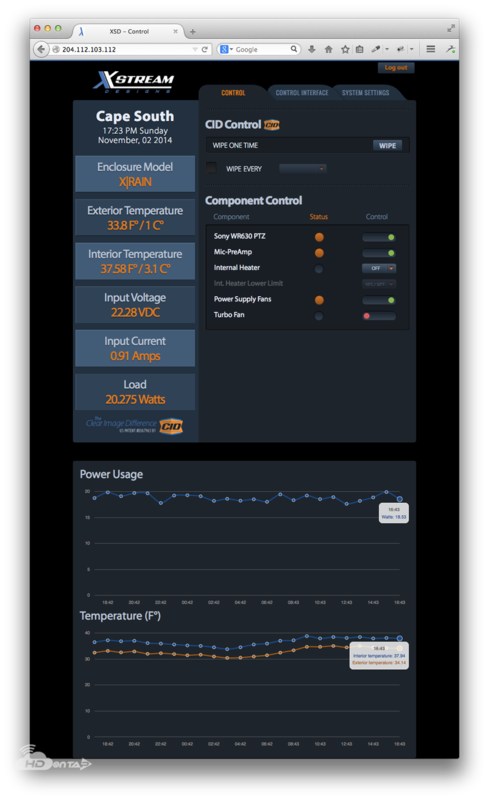 From a web browser, remotely monitor and control accessory power ports and temperature. The working conditions are more than just cold!